Isobar > The Squeeze >Archive>Internet Week New York – Who invited the suits? Internet Week New York – Who invited the suits? 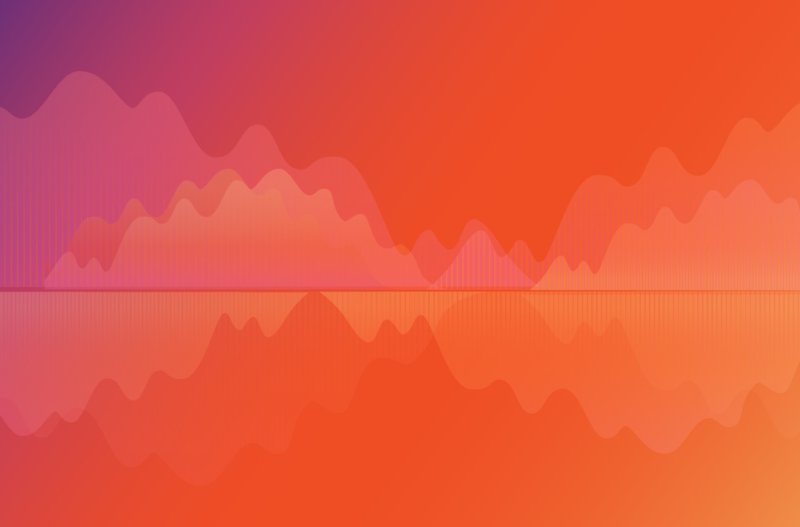 For the past few years I have attended Internet Week in New York, and each year the conference evolves, mirroring the maturation of the digital landscape. In past years, the hot topics ranged from mobile and how to approach the space, to social and why you need to get involved. But this year I noticed a significant shift, the topics of many of the sessions all seemed to come back to content. If you had to ask me what the two primary topics of IWNY2014 were, I would say with confidence: content and the internet of things. Some sessions were specifically designed to discuss these topics, but even those that weren’t seemed to mention one of those topics at some point. While in years past I have found Internet Week to be abuzz with your stereotypical internet “types,” the most striking change I noticed was the crowd. There were more sport coats at Internet Week this year; did a new crowd get invited or did the old crowd “grow up”? There is no question that the digital landscape has changed and matured, it’s also very obvious that digital roles within many organizations are viewed with equal or dare I say greater importance to the traditional marketing roles of the past. Have the traditional marketers turned digital or have the digital marketers started acting more traditional? Leave it to me to notice the people at Internet Week just as much as the sessions themselves, but lets talk about the sessions and the companion events that were happening alongside the main IWNY HQ. It is actually impossible to attend all of Internet Week, with two stages at the HQ running simultaneous sessions along with other related events, you really need to bounce around from place to place hoping to catch most of the sessions you have an interest in, while accepting that you will miss at least 4-5 per day due to scheduling conflicts. First up was OMMA Social where topics covered included “Is Facebook Reach Worth Paying For?” and if I might call out one of the most impactful stats mentioned during that session I would have to select “Facebook reach is the equivalent of 5 Super Bowls every day.” Another important point mentioned was “moving beyond social KPI’s of likes, views, and shares to focusing on actual business objectives.” Again, supporting my thinking that the internet has officially grown up. We have moved beyond a time where businesses should consider measuring social campaign success against the same set of KPI’s. Each business is unique, as is each campaign. Your KPI’s need to consider those facets when measuring success. Now IWNY is never complete without a few celebrity cameos. 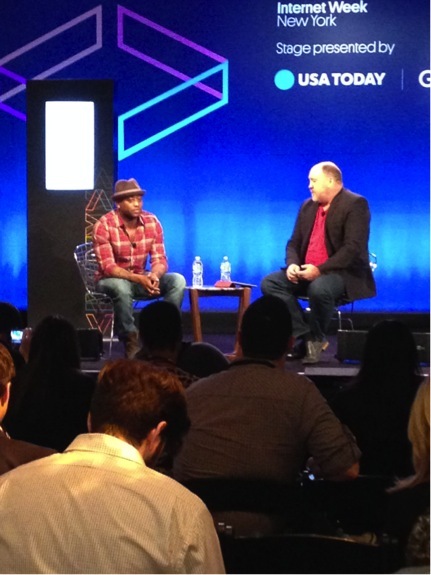 This year Omar Epps took the stage to talk about Storyscaping and social media. At this point we should all understand that each social channel warrants unique content tailored for that platform. Instagram is a visual storytelling experience, while Twitter has been an effective platform for actors to engage with their fans about the characters they play. He also shared some of his experiences when fans would call him out for using social media to advertise. The general take away for this session from Omar Epps was his feeling that “The content is the ART and the creative part. The marketing needs/ goals shouldn’t drive the content“. That may be a hard pill for some brands to swallow, but understanding what engages people will only lead to successful relationships in the long term. 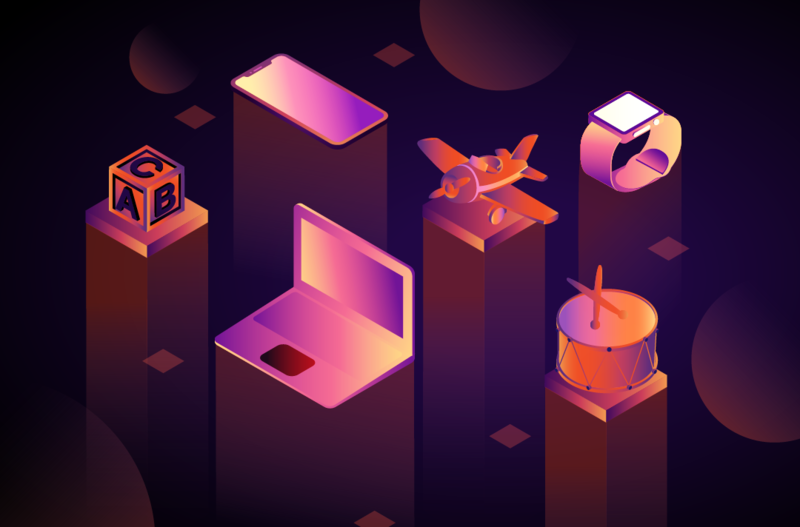 Now lets jump over to one of my personal favorite topics “the Internet of Things.” Internet of Things is essentially the next Internet; it’s a temporary placeholder (think “World Wide Web”). A series of devices connected to each other is the Internet of Things – not just a connected “thing.” During this session the panel agreed that currently the IoT is guilty of solving “silly” problems, but most of them justify this by explaining that solving these smaller or silly problems is laying the foundation to solving the larger problems. If we consider the previous statement about what the IoT is and how it’s about connecting these things, it is the combination of connecting these smaller solutions to each other that reveals the true power and opportunity for the IoT and its place in the digital landscape. 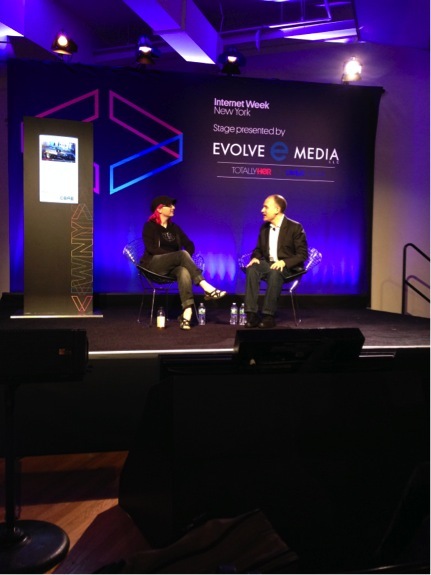 Following the IoT session was Lady AdaFruit on the Maker movement and the new innovation economy. Creating the ability for makers to prototype easily and affordably is opening the floodgates for connected devices. We as the digital community need to understand how immature this particular landscape is and accept that for every 3000+ Maker prototypes, we might end up with one potentially decent idea. Also, separating the hobbyists from the engineers is a key differentiator people need to recognize, especially when donating to the next Kickstarter campaign to cross your social feed. 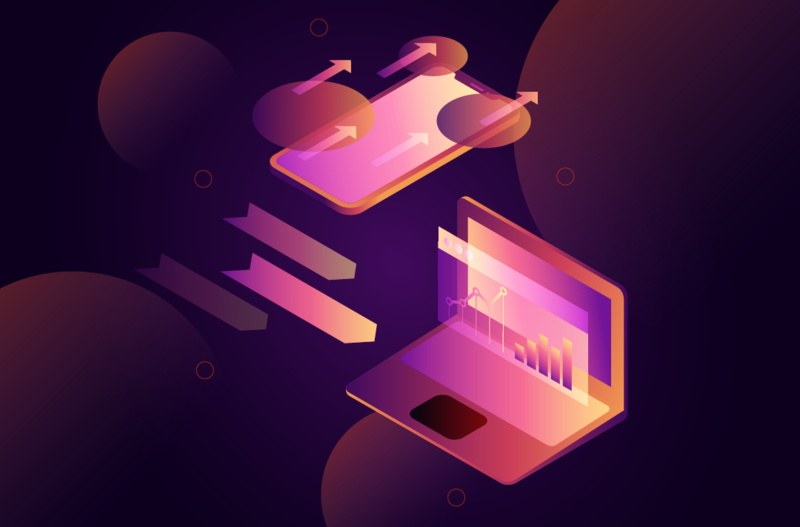 It is a really exciting time for connected and interactive product innovation, but it is in its infancy. Now what about the revolution of retail? This is a topic extremely close to my heart and I had really high hopes for this session. That said, perhaps I am just too close to this topic to be able to be truly objective about my takeaways. Of course people were talking about beacons and eBay’s future of retail, but I couldn’t help but feel that this panel didn’t even scratch the surface of what is happening in the future of retail. Perhaps it’s because those of us working on it are not ready to talk about it publicly just yet. However, that is a great segue into the Ad Age Marketing + Tech conference. Ryan Bonifacino, VP of Digital Strategy at Alex & Ani took the stage and spoke about their experience with beacon so far. They rolled out a test program in select retail locations and after proving its success they have rolled out beacon in all of their retail locations nationally. Now in order to come full circle with my opening statement about the “suits” that invaded IWNY… I ask you, do you think the digital professionals working in the space have changed or are the suits now joining the party as they notice how important the digital industry has become in the eco-system of their business?